Every person have different qualities, talents, and levels of intelligence which makes it very competitive in our society that we are living now. As a mom, it is important that my child does not only learn logically but he needs to be intelligent/smart in more ways. I believe in Multiple Intelligence as it allows the child to have competence in different intelligence in order for him or her to become a critical, creative and a divergent thinker. If you believe in Multiple Intelligence, join the Multiple Intelligence Twitter promo and get a chance to win gift certificate plus a gift pack. Who can join Multiple Intelligence Twitter Hashtag Promo? The Promo is open to Filipino parents residing in the Philippines with children 4-7 years old at the time of joining. Join Now! 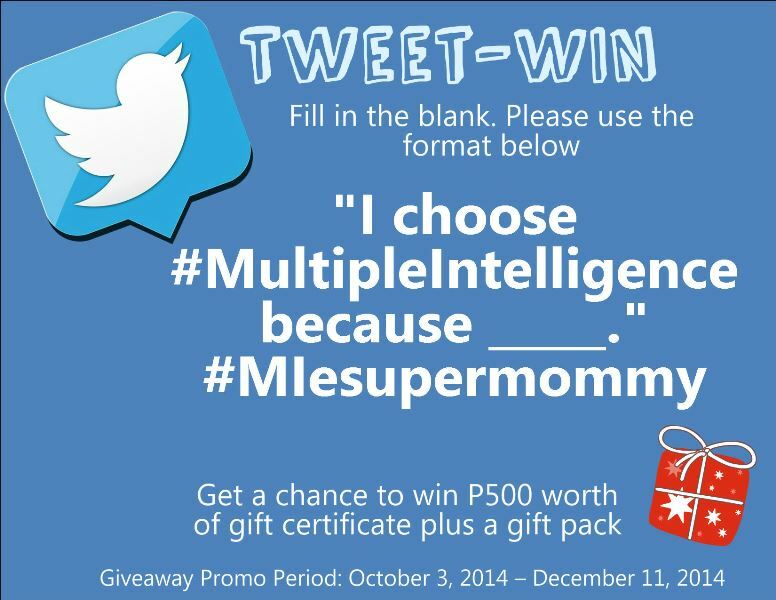 Enter the Multiple Intelligence Twitter hashtag Promo below. Tweet-Win Multiple Intelligence Week 1 and 2. Congratulations to week 1 winner Vanessa Grace Lim. We are still finalizing week 2 winner. There will be one (1) weekly winner. Milk product gift pack for 4-7 years old. The bloggers will tweet and/or send a direct message to the winners that they have won. Admin will reply with details on how to claim the prize. Winners from Metro Manila may claim the prize at the Movent office in 11f Ecotower, 9th, corner 32nd Ave., Bonifacio Global City, Taguig. For week 1, I already picked the top 3 that I believe to be the best tweets who filled in the blank why they choose multiple intelligence. We are still validating the winner and will publish a separate post who wins in the first week. I already tweeted and sent a message to top week 1 winner Vanessa Grace Lim but still waiting for her reply. To make this tweet-win Multiple Intelligence promo, I will be adding a prize to the lucky winner in week 2. So keep tweeting your thoughts about multiple intelligence. If you didn’t win in week 1 and week 2, you can still join in the week 3. Join in Tweet-Win Multiple Intelligence week 3. All entries beyond the cutoff will be added to the next cutoff so that they will qualify for the next weekly pick winners. I do believe in multiple intelligence, but somehow, I still feel that in order to succeed, we need to focus on one strength and matter it. Good luck to everyone who joins! 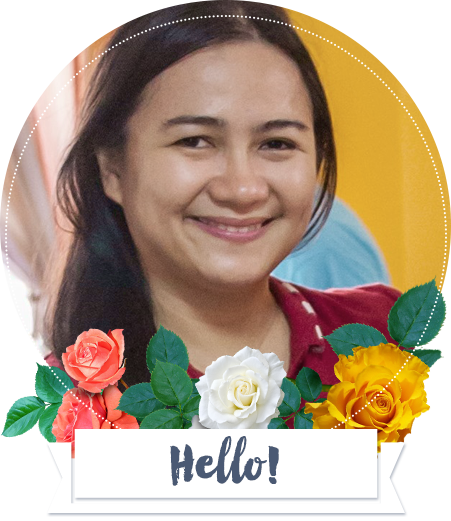 Hi Maan, Thank you for sharing your thoughts :). Oooh, so this is what it’s about. Hmmm…well, I’m a big believer of the MI theory and we apply that in how we raise and train our children. Besides, this theory is actually biblical in nature. Each of us have been given different gifts and different functions — Romans 12. One of my kids excels in academics and needs improvement on socialization skills especially on handling rejections, while the other one needs to improve on academics skills but is best on making friends. 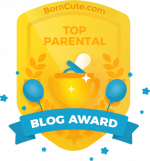 Each has its unique way to shine and because of multiple intelligence, our perspective on molding kids widen. Thank you for your thoughts. Multiple intelligence is one of the best way to help our children to improve oneself especially in academics. Yes, I will actually create a separate post about Multiple Intelligence. Having multi intelligence in my kids makes me more proud of them. I can say that I am on the right track of motherhood. Multiple Intelligence has been a long standing theory and it’s great t see that it’s finally getting it’s share of recognition.